I started off with How They Met which is a short story collection about love. There are 18 stories and the thing that I love most about this collection is how varied the stories are. They're all about love, yes, but so many different types of love. There are gentle, sweet stories. There is all-consuming and passionate stories. Some are sad, some are just beautiful. What a lovely, romantic collection of stories! Oh wow, Two Boys Kissing. 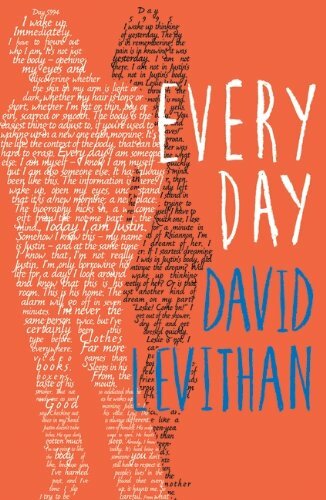 I did initially pick up this book to read almost immediately after receiving a copy for review but I put it down again because those first 50 pages or so had such beautiful, emotional and honest passages in it that I knew I wanted to take my time with this book and savour the gorgeous and lyrical writing style of David Levithan. And Two Boys Kissing was such a wonderful, emotional book to read. The title led me to believe this book would feature on two very specific boys but it is not just their story. It's the story about two boys kissing and another two boys who are just getting to know each other. It's about two boys who have been together for awhile and are comfortable in their relationship. It's about a boy who is struggling and feels very alone. It's about all of these boys and it also feels very much about gay teenagers in general. I loved the fact that this book is narrated by the ghosts of gay men who had died in the AIDS epidemic. Especially as these narrators seem to highlight the similarities and differences from the boys in the stories to their own experiences. It felt like witnessing how far we've come in terms of gay rights and also how far we still have to go. It was interesting and really effective means of narration. Two Boys Kissing was an achingly beautiful book. I think I had the highest expectations for Every Day. I'd heard such high praise for it and that sort of hype usually intimates me. Which is definitely why I waited so long to read it. And while I think it had some really interesting things to say ... I didn't enjoy it as much as I'd hoped. I think I only rated this book three stars. The reason I didn't enjoy this book as much as I thought is because of the relationship between A and Rhiannon. I wasn't fully convinced. I thought that the L word was used too quickly. I thought it felt very selfish to basically hijack other people's lives in sacrifice to this relationship. Even the ending felt weirdly off and more manipulative than I wanted it to be whereas I'm sure other readers felt it more emotional than it was. What I felt about A and Rhiannon was mostly disappointment and for that I feel a little bereft. But I did enjoy everything else. I loved the realisations A shared with us about the experiences of living in different bodies. In particular, I enjoyed seeing the high level of diversity. A jumps into white bodies, POC bodies, straight bodies, LGBT bodies, bodies from all economic backgrounds and abilities. Different sizes and shapes, behaviours and also differing levels of mental health. And I really loved the inclusion and representation of so many different types of people. I loved the message of loving people as opposed to loving genders and how A isn't tied down by either gender or sexuality. The story line regarding Kelsey and her depression and the way in which A (and Rhiannon) were there to help was amongst my favourite and I also thought the day that involved addiction was particularly harrowing. There are so many great ideas here that it didn't matter that much to me that I didn't particularly love the romantic elements of the book. I will still be hugely excited to read the upcoming sequel to this book and also absolutely anything else that David Levithan writes! What's your favourite book by David Levithan? Have you read either of these three books? I really enjoyed Two Boys Kissing and Every Day. 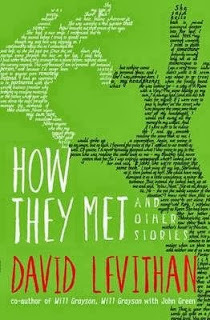 I'll add How They Met to my tbr list.